PIERRE, S.D. - Long-time customers still know it as Northern States Power. The investor-owned utility, which now goes by Xcel Energy, made a signficant error last year. It gave wrong amounts of credit to thousands of South Dakota customers. On Friday, the South Dakota Public Utilities Commission decided the company couldn't offset that mistake by taking money from refunds owed to customers under a seperate program. 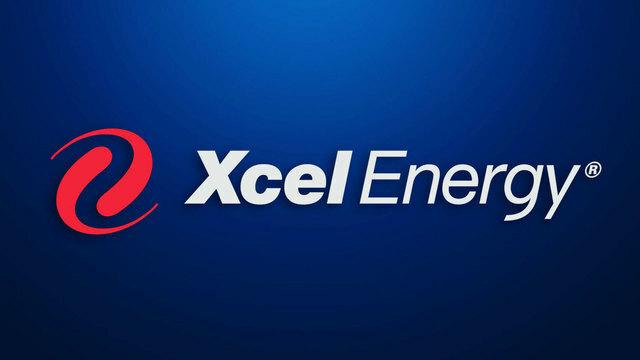 Xcel's errors occurred in July. The company Xcel returned to customers nearly $11 million the company no longer had to pay in federal tax. The state commission had opened a docket at the end of 2017 directing that investor-owned utilities reimburse customers the money saved from the federal tax cut Congress had passed. This story gets worse for Xcel. Company officials didn't catch the mistake. Instead, the commission's staff first learned about it. Several Xcel customers contacted the commission's consumer-affairs division because their tax-cut refund amounts didn't seem right. Xcel officials ultimately determined 7,543 customers were still owed money from the tax cut. In November, the Minneapolis-based company gave them an additional $252,677 of credit. That's more than $30 apiece on average. Then there was the other half of the problem: What about customers who received too much credit? The story turned even worse. Xcel asked the commission last month, in writing, for permission to make itself whole again. Xcel wanted to do it by diverting some money the company owed customers under a separate refund program. Xcel attorney Ryan Long spoke to the commission by telephone Friday about that request. Long said the company otherwise would look at a surcharge for customers who received too much. "We could have avoided the error, but we were moving quickly, and we think South Dakota customers benefited quite a bit from that swiftness," Long told commissioners. He said the commission's staff responded with what he called "a position of zero tolerance when it comes to company errors." "We certainly take responsibility for the error that we made. We think that we've come up with a solution that allows us to correct for that and make the company whole without having to surcharge any customers that received too much," Long said. He said the company would have to move slower and seek commission approval on refunds in the future. "Our perspective is the company's customers in South Dakota have benefited over time from our ability to move quickly. We don't make mistakes like this very often, and all we're asking for here is to be made whole without having to surcharge any customers," Long continued. The commission's consumer-affairs director, Deb Gregg, said the first customer who contacted her office had moved from a larger home to a smaller home. She heard from another customer who moved from an apartment to a house. She contacted another commissioner staff member, Brittany Mehlhaff, who dug through the numbers and determined the company had erred. "They were waiting for their refund, and they did calculate it," Gregg said. Commissioner Chris Nelson said he was glad that customers were aware refunds were coming and they were expecting them. Long confirmed that commission staff brought the situation to the company's attention. "We weren't aware that there was an issue," he told Commissioner Kristie Fiegen. Fiegen questioned whether it was proper for the company to cover the error with money from a second refund program. "It looks like to me it's kind of asking other people to pay for your mistake, so why wouldn't you do a surcharge for the people that got extra money?" she asked. Long said a surcharge was possible. He said customers don't appreciate surcharges and imposing one requires explanation and can be confusing to customers who received refunds. He described the second refund, from a U.S. Department of Energy settlement regarding nuclear-waste storage, as an "opportunity." "I recognize it is not perfect justice, but we saw it as slightly more elegant justice, I guess, to be frank, when we thought about our different options for correcting the error," Long said. Replied Fiegen, "It's just hard as a commissioner, cause I understand, I make errors everyday. Zero-tolerance is not how I treat my life, and there is grace. It's hard for me to take money away from another refund because of a mistake. "And I know a surcharge might not be easy, but it just seems like it's more equitable. So I understand your concern," she continued. She thanked Long for working with the commission staff, then added, "It's hard for me to take money away from a refund that other people deserve." Commission Chairman Gary Hanson asked staff members about the surcharge. Analyst Patrick Steffensen said the staff's recommendation was the full nuclear-waste refund should be made and the company should "eat" the overpaid amount of the tax-cut refund. Long in turn said the company might consider the surcharge. Otherwise, he said, the company would use "shareholder dollars to fund that missing amount of money" and put the company in a slightly stressful position. Long explained the company had agreed, in reflection of the tax cut, to a South Dakota rate freeze and to forego seeking a South Dakota rate increase "for a number of years, which we thought was quite beneficial to customers as well." Hanson asked the commission to deny Xcel's request to use part of the nuclear-waste refund to cover the extra amount spent for the catch-up refunds from the tax cut. Nelson agreed: "If we were to adopt the company's proposal as is, there would be people paying for this that should not be paying for this error, and that would amount to two wrongs trying to make a right, and that just doesn't work." Nelson said the company could come back to the commission with a plan for recovering the $252,677 error. Hanson said "it would just be inappropriate" to have other citizens pay for Xcel's error. "It may have been very difficult to avoid. However it is still a fact that people are paying for that mistake," Hanson said. Click here to read Xcel's letter.